Northern Ireland, not too much to be funny about perhaps and certainly not when it comes to the Troubles. 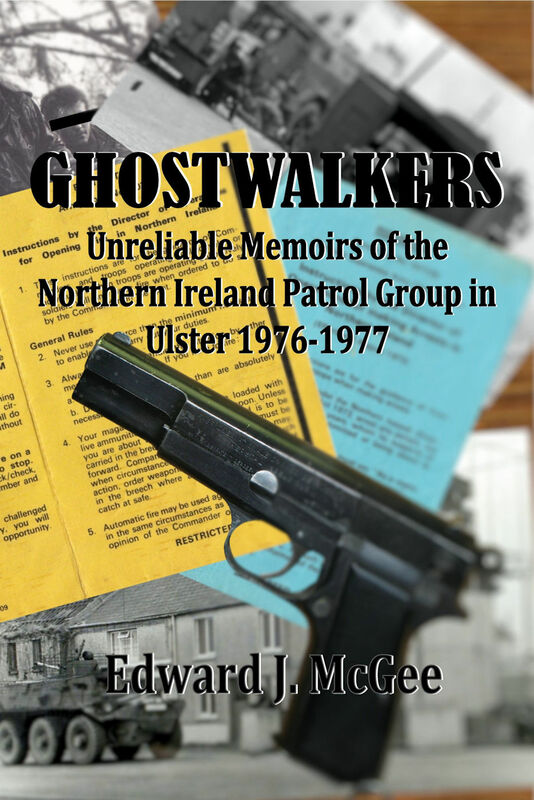 But this book is about NIPG, the Northern Ireland Patrol Group or how they consider themselves, the poor man’s SAS. It’s about a small team of these NIPG’s as they learn to negotiate army life and Ireland, leading to some great comedy moments. It’s based on a one-year tour and we meet the four protagonists and an array of interesting and lively companions on the journey. There isn’t too much ‘engaging’ with the enemy, which helps to maintain the author’s light touch of a difficult time but that doesn’t detract from the very dangerous life the soldiers and civilians faced on a daily basis. It’s a story told by real soldiers and based on real events so not all of it is a barrel of laughs and neither should it be, because to understand the Troubles, is to understand both the humanity and the horror of the period. The author uses a tender touch with these difficult subjects. It’s a beautiful book, and a story well told. The research is meticulous and the details add a depth of colour many similar books simply don’t have. If you’re interested in memoirs, military history, Northern Ireland or just looking for a great read, you won’t feel disappointed by this book.